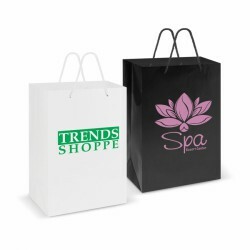 Looking for an economical option, choose printed paper bags with your logo. 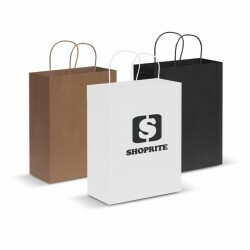 For businesses on a tight budget, you can still effectively boost brand visibility and even improve your image with these promotional paper bags. 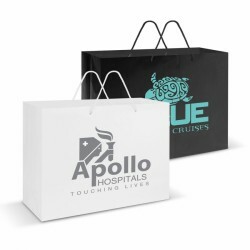 Made with tough quality paper material, these printable bags also make the best and cost-efficient marketing tools during conferences and tradeshows. 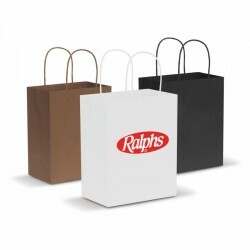 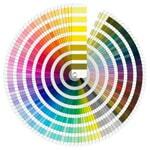 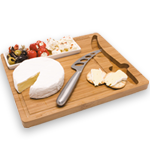 Promotional Products Experts makes it easy for you to pick the perfect custom paper bag. 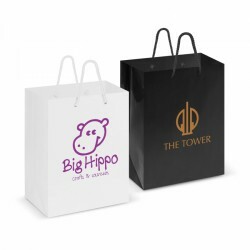 We have a great collection to choose from including printed non-gusseted paper bags and branded gusseted paper bags in different sizes. 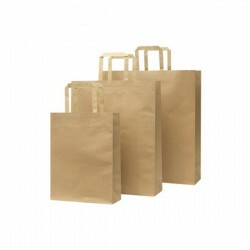 We also have paper bags with cotton rope handles which are perfect for use in your stores instead of using plastic-made paper bags. 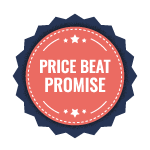 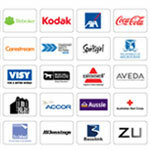 Not only will you save on cost, but you also show your concern for the environment. 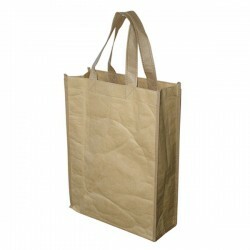 Paper Bag With White PP Woven Lined Inside, Non Woven Handles and Piping, Water Resistant, Tough and Strong, Great Bag for Carrying Heavy Items. 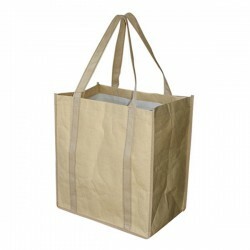 Stylish Round Corner Paper Bag With White PP Woven Lined Inside, Short Cotton Rope Handles With Gusset, Water Resistant, Tough and Strong, Great Bag for Carrying Heavy Items. 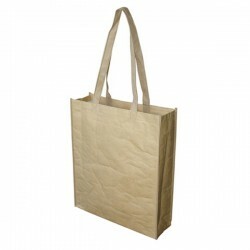 Paper Bag With White PP Woven Lined Inside, Long Non Woven Handles and Piping, With Wide Gusset, Water Resistant, Tough and Strong, Great Bag for Carrying Heavy and Large Items. 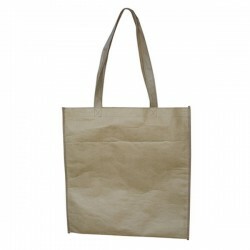 Paper Bag With White PP Woven Lined Inside, Short Non Woven Handles and Piping, With Gusset, Water Resistant,Tough and Strong, Great Bag for Carrying Heavy Items. 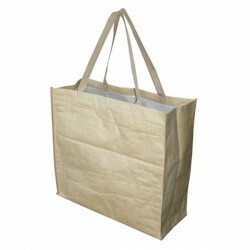 Paper Bag With White PP Woven Lined Inside, Long Non Woven Handles and Piping, With Large Gusset, Water Resistant, Tough and Strong, Great Bag for Carrying Heavy Items. 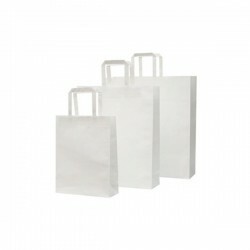 Paper Bag With White PP Woven Lined Inside,Short Non Woven Handles and Piping, 2 Handles Extending Down Side of the Bag, Water Resistant, Tough and Strong, Great Bag for Carrying Heavy Items, No PE Base Board.